Connor Creagh was just 11 years old when he was crushed by a tree in a freak accident last October, after storms ravaged the South Burnett region. "I said to Connor, we'll go up to Nana and Grandad's and we can help clean up their property after the storm," his mum, Danielle Miles, said. "It was horrendous out there. "Trees were down, there were water tanks over the roads, it was a big disaster," she said. Danielle was working in a paddock when she heard a blood-curdling scream. "We ran over, and I could see the other two kids, so I knew something had happened to Connor." What she found was frightening. "He'd been crushed by the trunk of a tree, from the chest down," she said. It took two vehicles to pull the tree off Connor's unconscious body. With the closest major trauma hospital more than two hours away, Danielle says she'll never forget the sound of the RACQ LifeFlight Rescue helicopter flying in. "It was just a huge sigh of relief when we heard the helicopter arrive," she said. LifeFlight's Critical Care Doctor, Oskar Larsson, said as soon as he saw Connor's lifeless body, he knew time was of the essence. "I remember opening the ambulance door, and seeing this little boy in all kinds of trouble. "He was unconcious and struggling with breathing... he looked really bad," Dr Larsson said. "We had to move really, really quickly to make him survive." 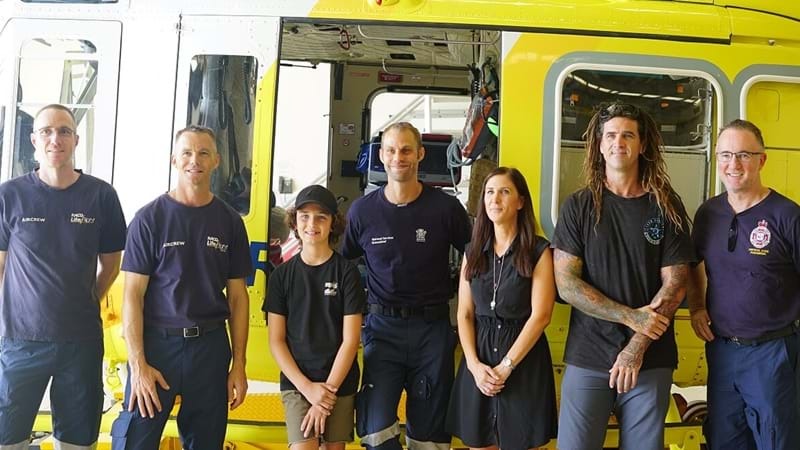 The crew worked tirelessly for more than half an hour, before loading Connor into the chopper and flying him to Queensland Children's Hospital. "He suffered a broken femur, eight broken ribs, a squashed heart and ended up needing a full airway reconstruction," Danielle said. "Without these guys, Connor wouldn't be here right now, without a doubt. "There's no way we could have got him to hospital in time," she said. 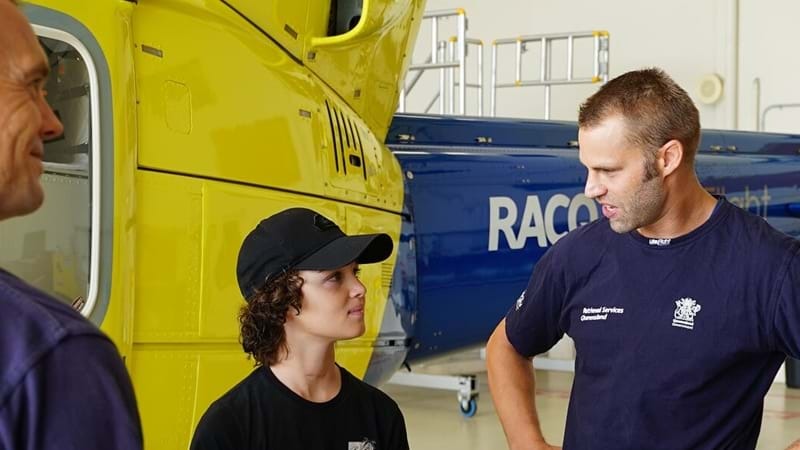 For RACQ LifeFlight Rescue's pilot, air crew officer, doctor and flight paramedic to see Connor again was extremely emotional. "Seeing him today, it's anything but heartbreaking," Dr Larsson said. "I am so pleased to see him." Connor, who celebrated his 12th birthday in December, said he doesn't remember much from the day, but couldn't wait to meet the men who helped save his life. "I just had to say thank you," he said. "When I got here today I just said a huge thank you."